An estimated 200 million children globally are impacted by child labour, over half of them are estimated to work in hazardous conditions, from factories, mines and farms right up to being used as drug couriers or trafficked for sexual exploitation. On a very profound level, child labour robs children of their most basic right – the right to a childhood. It makes them hostage to an uncertain future as adults, one where they may have to carry the physical and emotional scars of the past. We have to break this cycle of disadvantage and pain. We have to give children back their childhood. We have an obligation to ensure that all children get to enjoy this fundamental right. ChildFund works to support children to break free from the chains of poverty and to end practices that hamper children development, or put them in harms way. This World Day Against Child Labour, we wanted to bring you a story about just one of many ways ChildFund has been working, across the world, to help ensure children are protected from damaging practices like child labour. ChildFund Brazil, with the financial support of telecommunications company Fundação Telefônica Vivo, launched a project to fight against exploitative child labour in Brazil. The project, Melhor de Mim (“The Best of Me”) targeted 500 children ages 6 to 14 in the Jequitinhonha Valley in the state of Minas Gerais. 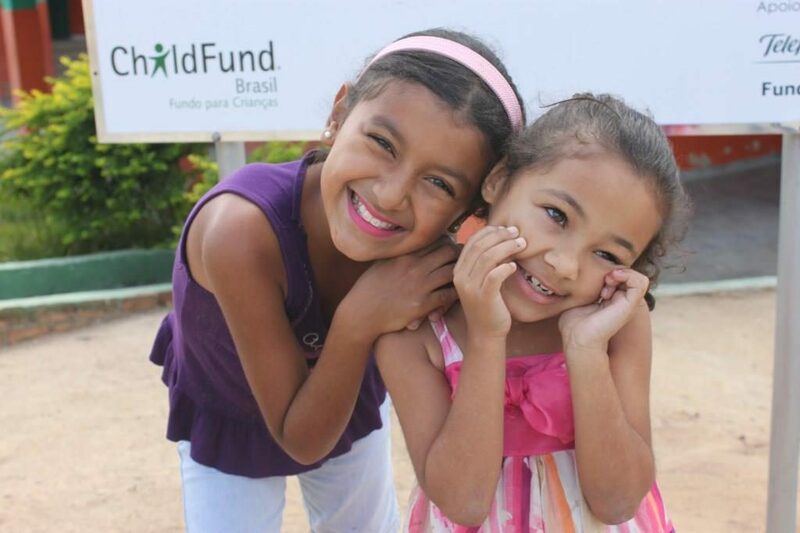 Working with its local partner organizations, Through programmes like this, ChildFund Brazil seeks to raise awareness of the risks of child labour through dialogue with children, teens, parents and other community members. Expert facilitators lead the discussions. One notable part of the project is that it also engages businesses who employ children. ChildFund’s goal is to educate employers about the serious risks that young labourers face, including physical dangers and missed educational opportunities. In Brazil, hiring children under 13 is illegal. Yet, according to national data from the Brazilian Institute of Geography and Statistics, 704,000 Brazilian children aged 5 to 13 were working in 2011. The majority of child workers are 10 to 13 years old, and 63 percent live in Brazil’s countryside. These numbers mark a 23.5 percent decrease of child labourers from 2009, but clearly the problem remains significant. The majority of Brazilian child labourers, almost 55 percent, receive no income for their work, and those who are paid earn an average monthly income of only US$68. Child labour practices are receiving a spotlight today with the International Labour Organisation’s World Day Against Child Labour. The Best of Me’s activities began with the enrolment of children involved in labour. Its next step was to mobilise parents to make them aware of the project and sensitise them to the risks of child labour. After that, children attend workshops using the Aflatoun method, which empowers children to play a key role in building a better society. By affirming children’s right to speak out on the issue and fostering dialogue among all parties involved, ChildFund seeks to facilitate sustainable change around child labour.